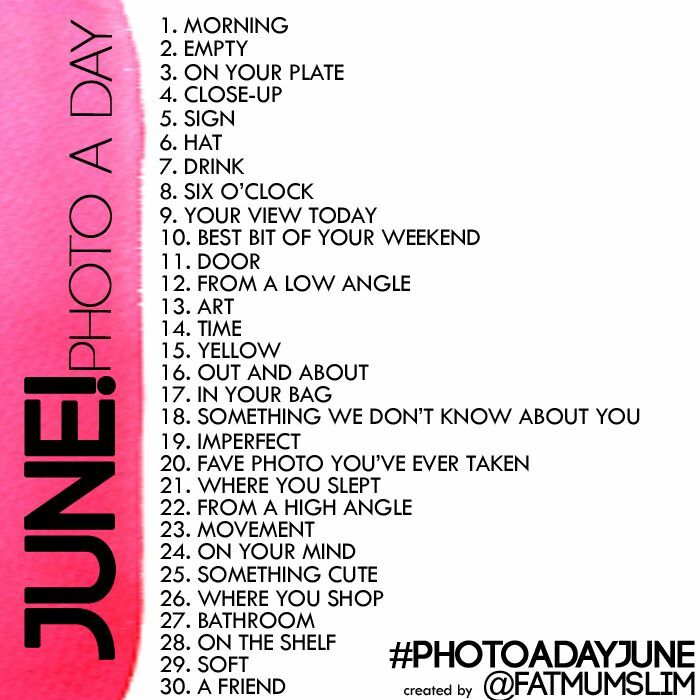 Here is the list for June's Photo a Day Challenge courtesy of fatmumslim. If you're new to photo a day, it's quite easy. So come and join the fun. For each day of the month, take a picture with your point & shoot or your smart phone and share on Facebook, Instagram, Twitter, Blog, Pinterest, the list is endless... It is basically a way to be creative with the daily prompts. This kicks off officially June 1st. Have fun. And, I can't wait to see your photos.